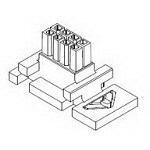 描述：TMini-Fit Jr.™ Power Connectors Mini-Fit Jr.™ connectors handle up to 9.0A and are ideal for wire-to-wire and wire-to-board applications requiring design flexibility. The core attributes of Mini-Fit Jr. include: fully isolated terminals, positive locking housings, low-engagement forces and polarized housings. 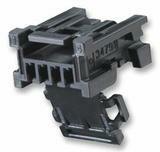 The Mini-Fit family also offers blind mating, TPA and higher current options. Designed for higher-current, higher-density applications requiring design flexibility, Mini-Fit Jr. connectors are ideal for power applications up to 9.0A per circuit. 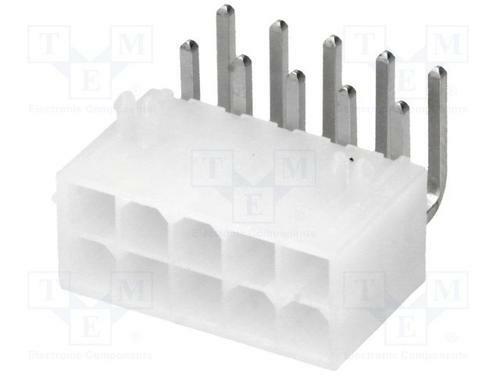 Additionally, these connectors are available in single row or dual row 2- to 24-circuit options, feature multiple plating, and resin options.